ABU DHABI, February 6 2019 –Under the patronage of His Highness Sheikh Abdullah bin Zayed Al Nahyan, UAE’s Minister of Foreign Affairs and International Cooperation and Chairman of Emirates Foundation, and aligned with the UAE Innovation strategy, Emirates Foundation, in partnership with the Ministry of Education and Abu Dhabi Department of Education and Knowledge, announced the expansion of its Think Science Platform with the launch of ‘Think Science Fairs’ to take place across the UAE starting with the UAE Innovation month. The Think Science Fairs, in their 7th edition, aims to empower youth between the ages of 15-35 to actively engage with the digital revolution and provides them with the right platform to innovate and deploy technology to pursue STI education and careers. This year’s Think Science Competition has received an overwhelming 2000 Project submissions from 4,000 aspiring youth scientists from across the UAE and has further introduced three new scientific categories which are: Food Security, Water Sustainability and Health and Information Technology. The Fairs will take place starting from Feb 17th in Dubai, and for the first time in Abu Dhabi (Feb 24th), Sharjah (March 3rd), Ras Al Khaimah (March 10th), Fujairah (March 17th) and Ajman and Um Al Quwain on (March 21st). H.E. Maytha Al Habsi, CEO of Emirates Foundation said: “We are proud of the success of Think Science program, which is aligned with the UAE Science Strategy 2030. Over 70,000 UAE youth have benefited from the program over the last seven years, and around 16,000 youth from schools and universities, have participated in the competition since inception, which attests to the importance of this platform, which has created unprecedented opportunities for youth to innovate and take their science projects from concept to reality. A very important part of the Fair is the ‘Future Science Entrepreneurs’ platform which was created by Emirates Foundation last year. It enables Think Science participants to showcase their projects and connect with the Foundation private and public sector partners for potential adoption, incubation and funding. The Think Science competition demonstrates the Foundation’s continuous efforts to inspire and empower UAE youth to innovate in the fields of science and technology. 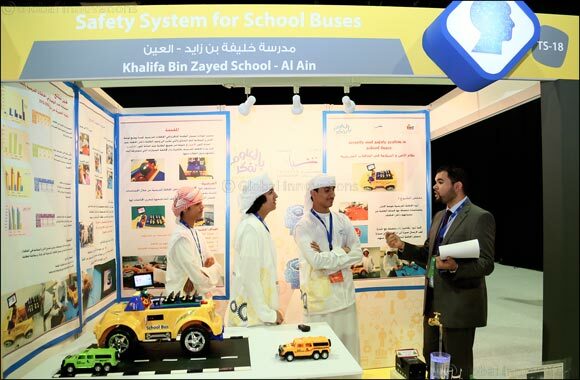 It is designed to inspire UAE youth and engage them to develop, design and build science-based innovations that respond to society’s most pressing needs, encouraging and empower youth, between the ages of 15 and 35 years, to follow their passion for science with interactive, hands-on activities in the fields of engineering, energy, aviation and other technological industries.